The year 2008 was a year of great turmoil in Pakistan as the prior year ended with the tragic assassination of former Prime Minister Benazir Bhutto on Dec 27, 2007. It began with Bhutto's widower Asif Ali Zardari taking over the reins of Pakistan Peoples Party, Pakistan's largest political party, and ended with rising tensions in South Asia in the aftermath of Mumbai terrorist attacks. 1. Major defeat was dealt to pro-Musharraf forces in free, fair and democratic elections in which Pakistan Peoples Party won the most seats in parliament followed by former Prime Minister Nawaz Sharif's Pakistan Muslim League as the second largest political force. 2. President Musharraf was forced out of office and replaced by Asif Ali Zardari who won the parliamentary approval by an overwhelming majority. 3. With rising militancy in all parts of the country, suicide bombings in 2008 surpassed last year’s figures, with 61 attacks killing at least 889 people and injuring 2,072 others, according to Pakistan's investigation agencies. 4. Pakistan's economy suffered greatly as the confidence of consumers, businesses and investors in the country plummeted to new lows. Pakistan was forced to seek and accept an IMF bailout with stringent conditions and close scrutiny. 5. Barack Hussein Obama was elected first African-American president of the United States in a historic landslide. The president-elect, who takes office in January, 2009, signaled a renewed focus on the Afghan war and South Asia as his priority. With the continuation of Robert Gates as defense secretary, the Pentagon started beefing up the US troops strength in Afghanistan. 6. With deepening distrust of the US and Karazi government among Afghans, increased funding from poppy cultivation and rising civilian casualties, the Taliban insurgents made significant gains in Afghanistan, controlling 72% of the territory and tightened their ring around Kabul, the capital of the country. 7. The US blamed Pakistan for providing sanctuaries to the Taliban in FATA region. The American forces in Afghanistan intensified air strikes and ground incursions inside Pakistan to target the Taliban and Al-Qaeda fighters, killing many innocent civilians. The US military supply lines were repeatedly hit by the militants in Pakistan. 8. A British commander of NATO forces in Afghanistan told the press that "we can not win this war" in Afghanistan. 9. Pakistan's stock markets took a nose dive along with the major markets around the world. KSE-100 dropped about 50% in 2008. Those who invested in KSE stocks in 2001-2 did as well or better than those who invested in NY, London, Mumbai or Shanghai. KSE increased 10-fold 2001-2007. Even after a 50% drop in KSE in 2008, investors have made 500% gain since 2001. 10. The telecommunication, information technology, higher education, media and the middle class progress started during Musharraf-Aziz years continued to have its impact in 2008, in spite of horrible governance, lack of vision and absence of real leadership by corrupt and inept politicians. 11. Pakistan's food and energy crises took a turn for the worse as the prices soared. There were widespread blackouts and brownouts. Wheat shortages forced the expensive imports and the government had to cut back on subsidies as the foreign exchange reserves dwindled and the rupee rapidly lost its value. 12. History was made when Pakistan elected its first woman speaker of the National Assembly in 2008. But Pakistan's human rights and social justice situation continued to shock the conscience of the civilized world with the live burial of women by the tribesmen in Sind, the murder of Ahmadis encouraged by a fanatic TV host and the inclusion of some of the perpetrators as federal ministers in Prime Minister Gillani's cabinet. 13. Peaceful Kashmir protests erupted again after several years of quiet while President Musharraf attempted to settle the core issue between India and Pakistan. As usual, Indian security forces responded with lethal force, killing dozens of peaceful protesters. 14. People of Baluchistan continued to suffer as an earthquake struck and the local insurgency continued. Women and children were the worst affected among the victims. 15. India blamed Pakistan as terror struck Mumbai, driving India-Pakistan relations down to a new low. War rhetoric pushed the solution to the major issues dividing India and Pakistan into the background. The Indian media whipped up the anti-Pakistan frenzy with the demands for "doing a Lebanon" in Pakistan. Some in India started talking about a limited war under "Cold Start" doctrine with "surgical strikes" inside Pakistan. 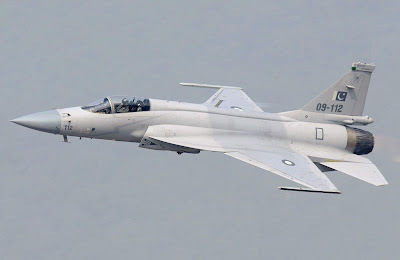 In response, Pakistan has put its military on alert with troop movements on the ground and fighter jets in the skies. I am hopeful that people of Pakistan, especially the young entrepreneurial and the professional classes, will continue to do their best to help extend the positive legacies of Musharraf-Aziz years. I believe it can be safely said that the communications revolution (accompanied by dramatic growth in the vociferous electronic and new media) as well as a significant enlargement of the middle class in Pakistan helped sow the seeds of the end of arbitrary actions by President Musharraf. In other words, Musharraf pulled a Gorbachev (a la perestroika that unleashed uncontrolled energies) by enabling powerful resistance to his arbitrary rule. Some of these changes that Musharraf brought are durable and I hope will make our rulers more accountable. There will still be abuse of power but the media spotlight will hopefully shine brightly on it to the detriment of the abusers. Eventually there will be real participatory democracy to serve all Pakistanis with appropriate checks and balances imposed by a much larger and more powerful and aware middle class essential for true democratic governance in Pakistan, or anywhere else. Mumbai : Lone surviving Pakistani gunman Ajmal Kasab said on Tuesday that he was not a "Jihadi" and had not undergone any training at the Lashkar-e-Taiba (LeT) camp in Pakistan. Kasab told the court, which was recording the gunman's final statement on the prosecution evidence, he was a cook with a catering company in "Saarayee-Alamghir" near Jhelum in Pakistan. Denying any involvement with terror outfits LeT and Jamat-ul-Dawa (JuD), Kasab declined meeting Hafiz Sayed, Zaki-ur-Lakhvi, Abu Kahfa and Abu Hamza--all wanted accused and alleged LeT operatives. "I heard the names of Lash-e-Taliban and JUD from the police here. Crime Branch officials had shown the photograph of Lakhvi," Kasab said. Asked by the court if he was introduced to one Major General Saab at the training camp, Kasab said, "This is absolutely wrong." The judge, M L Tahaliyani, was putting questions to Kasab on the basis of his confession before magistrate in February; however Kasab disowned the confession, saying it was given under duress. When special Judge M L Tahaliyani referred to his statement in the confession that Hafeez Sayed had told 30 boys at the LeT training camp that they would have to lay down their lives for liberating Kashmir, Kasab said: "This is absolutely wrong". Alleging that the police had threatened to administer electric shocks to him if he did not give a statement to the magistrate, Kasab said the police had prepared the confession and forced him to recite it. Asked by the court, if he was told in the training that they would go to heaven if they attacked India, Kasab replied in the negative saying he did not attend the training. Kasab also denied having told the police anything about Kuber boat and a dead body found on the boat. According to the prosecution, the group of ten terrorists had highjacked Kuber on their way to Mumbai from Karachi in Pakistan. "I have never seen the boat; crime branch and FBI had showed me pictures of Kuber and my clothes and articles seized from the boat. These articles must belong to either fishermen or smugglers. The AK 47 rifle may belong to the police and it is not mine." An I-card recovered from his trouser pocket was shown to Kasab in the court on Tuesday, but he refused to identify himself. "It's not me. Trousers are not mine, I was wearing leather pants," he stated. Similarly, about the money seized from him, he said that it was not his. "The police had taken Rs 2,400 from me on November 25, which I had kept for my return ticket. Those currency notes did not have any marks on them. These notes have something written on them," Kasab said when he was shown the Rs 100-note. The gunman further alleged that all the witnesses were briefed by the police. "One witness had in the identification parade identified me as the one in Hotel Taj. That witness was not brought to court during the trial," Kasab said. He further said all the witnesses were shown his photograph prior to the parade and thus they could identify him and witnesses were prompted by the police. Kasab also alleged that even when he was in jail custody, three crime branch officials were guarding him and used to threaten him to give the statement before the magistrate. "I had given this complaint in writing to the magistrate on February 18, when I was produced for recording my confession. But when nothing was done on it, I kept mum and did not complain again," Kasab said.